Right, that's it from me. Thanks for reading, you can join the main Saturday football live for all the reaction to this and the day's other matches. All over at Stamford Bridge. West Ham miss out on the chance to move into the top four. Loftus-Cheek has a shot on the turn, but it's wide. But Courtois reads it all the way. Willian kicks the ball away, leading to a bit of handbags, for which he and Fabregas are booked. Fabregas feints, shimmies, and sends Adrian the wrong way. Ooh, West Ham close to a third. Emenike does brilliantly to forge down the right and drills a low cross towards Andy Carroll, but Branislav Ivanovic intercepts. And from the corner, Carroll's header is cleared off the line! Ruben Loftus-Cheek comes on to replace Oscar. And Slaven Bilic responds by sending on Pedro Obiang to shore things up, in place of Manuel Lanzini. 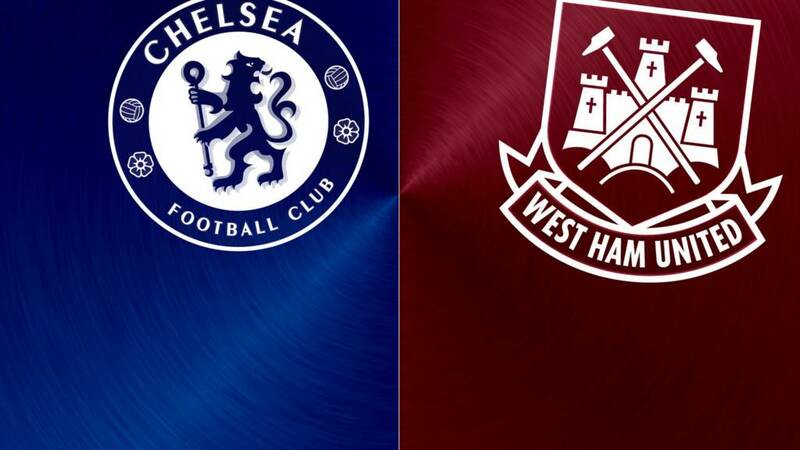 Willian fires a cross into the box and Michail Antonio makes a vital interception. Chelsea still look very dangerous here. Payet wriggles his way into the area and curls a shot high and wide - but there was a deflection on it, so West Ham have a corner. This is a good response by Chelsea. This time John Terry heads narrowly over from a corner. Enner Valencia trots off for West Ham and is replaced by Emmanuel Emenike. Chelsea are pressing here. Oscar's shot is deflected up in the air and Fabregas tries a spectacular overhead kick which whistles just over the bar. Oscar's shot is deflected behind off Kouyate. From the corner, Fabregas has free header seven yards out but puts it over the bar! Bertrand Traore has scored in four of the six games in which he's appeared this season. He immediately looks lively, causing problems with a jinking run on the left-hand side, but Michail Antonio shepherds the ball out for a goal-kick. That's a great chance! Willian whips a free-kick and John Obi Mikel sticks his head on it but he can't keep it down. And the Burkinabe forward almost makes an instant impact. The ball bobbles nicely for him in the box, he smashes the volley in but Winston Reid bravely throws his body in the way.